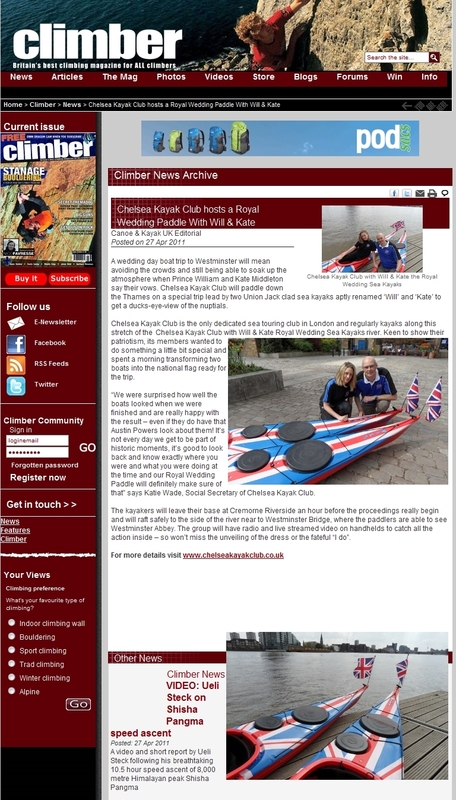 The handiwork of kit officer Jacqui Marsh helps to get CKC in the safety spotlight, when she created the Club’s diffuser lights for paddling on the Thames at night. 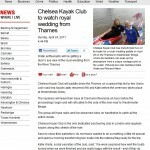 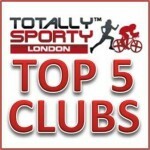 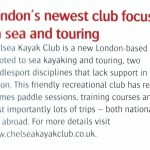 Our Chairman, Andrew McMenamin, sporting a CKC deck in this splash on why Chelsea is trendy! 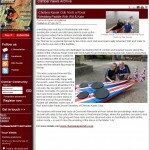 Following the Cardboard Canoe Day, the CKC entry made the news… but not for winning the race! 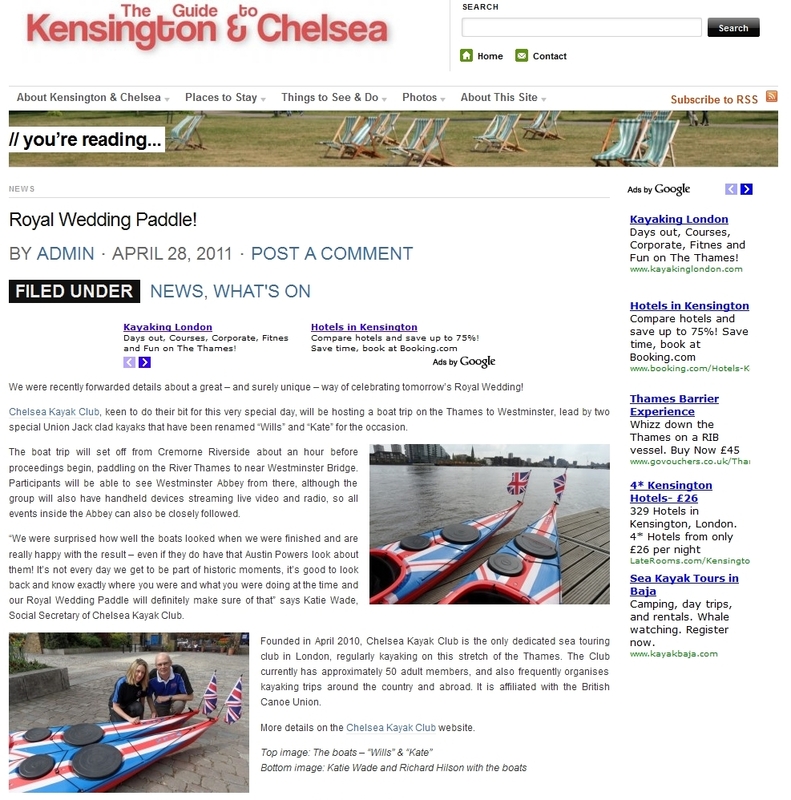 The CKC Royal Wedding paddle was something a little unusual, so caught made interesting reading. 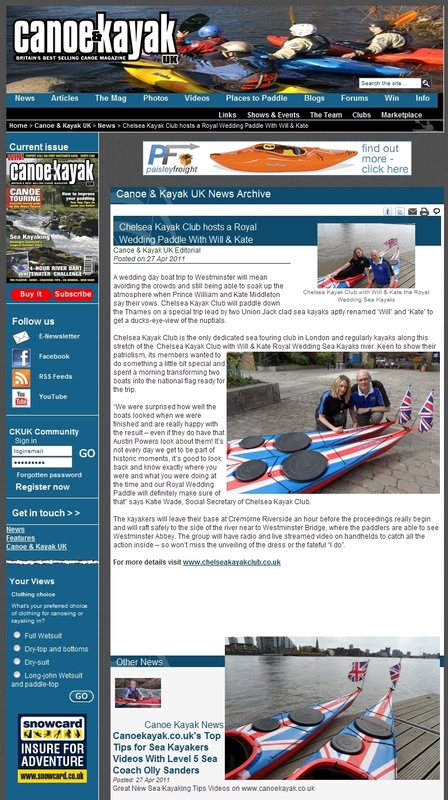 CKC’s Royal Wedding paddle made more than just the listings in the local papers. 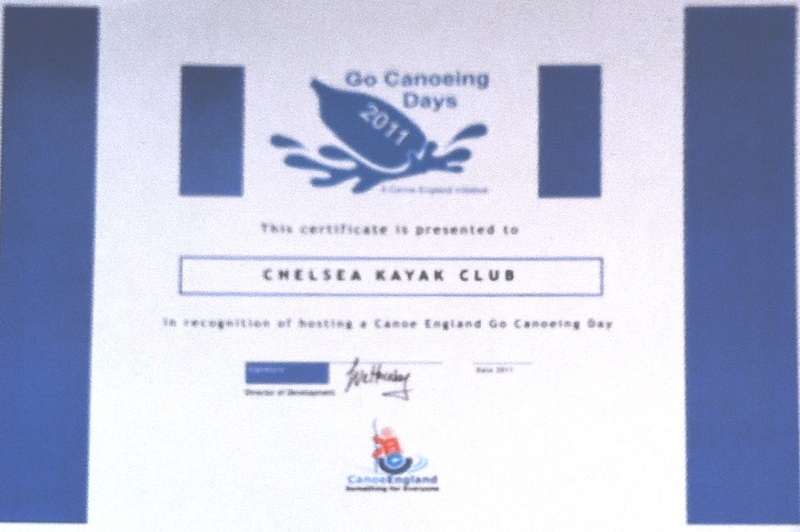 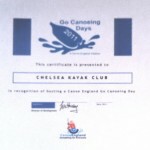 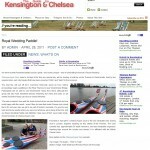 It’s all talk about Chelsea Kayak Club getting arty for the Royal Wedding paddle. 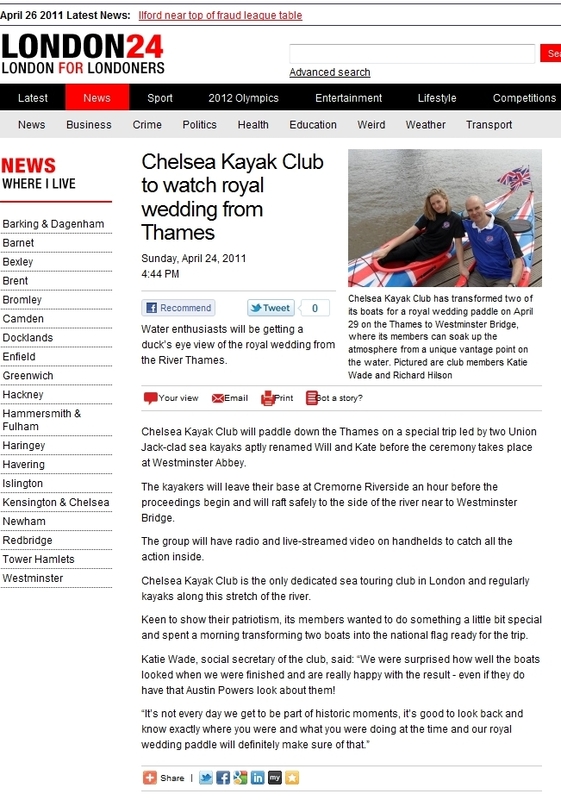 With a few Aussies and South African’s in the club, we knew our Royal Wedding paddle would be explosive material for TNT. 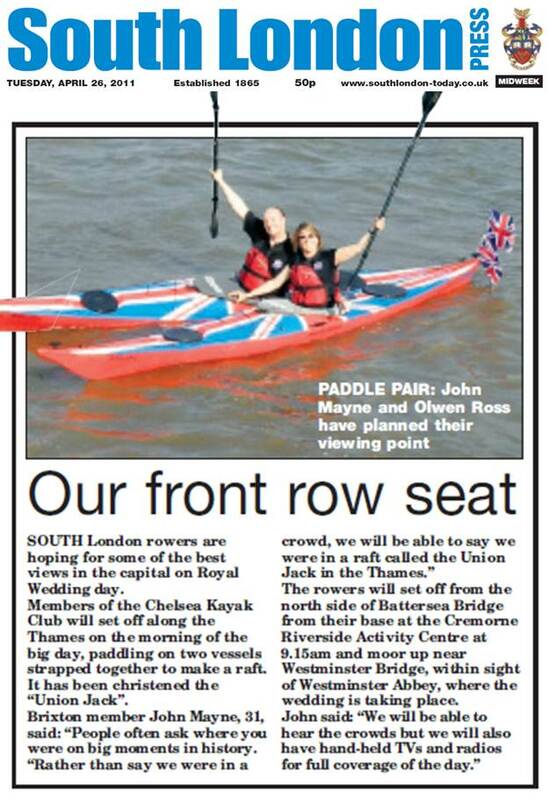 As a good few of our members are from south of the river, a few members had their ‘home’ paper cover the Royal Wedding paddle. 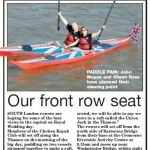 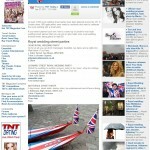 Yet another story on the CKC Royal Wedding paddle. 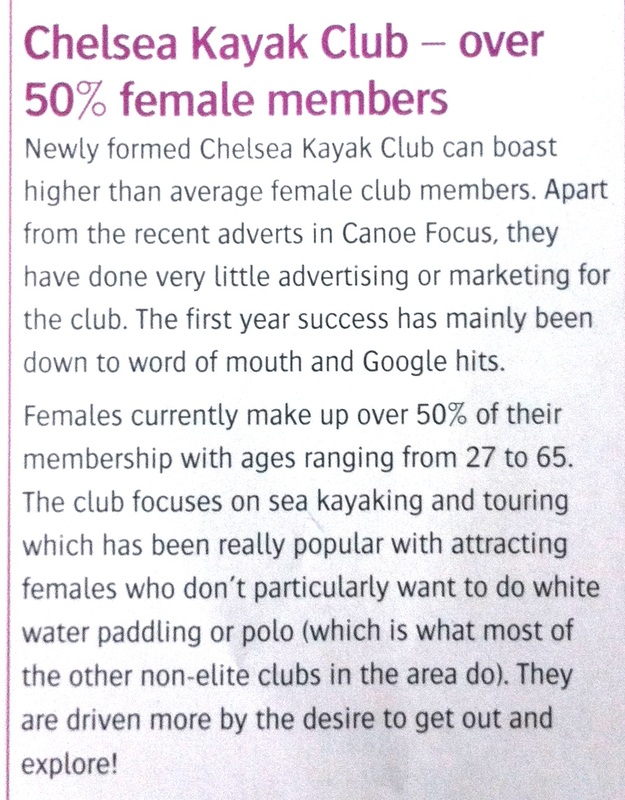 Due to the high number of ladies paddling with the club after just one year on the clock, we caught the attention of the BCU and were included in the ‘Women & Girls in Paddlesport’ section of the magazine. 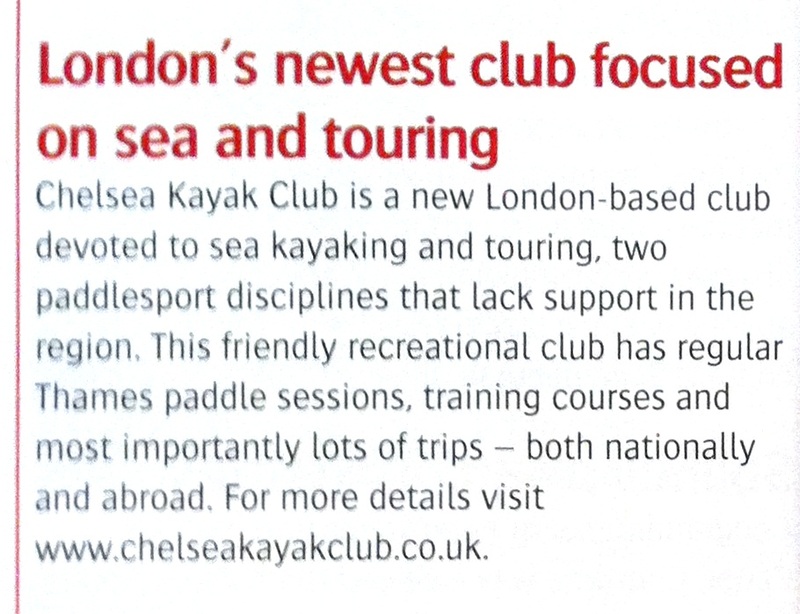 This FOUR PAGE feature gives a great overview to the club and everything it stands for – from the Thames sessions, through to the trip abroad. 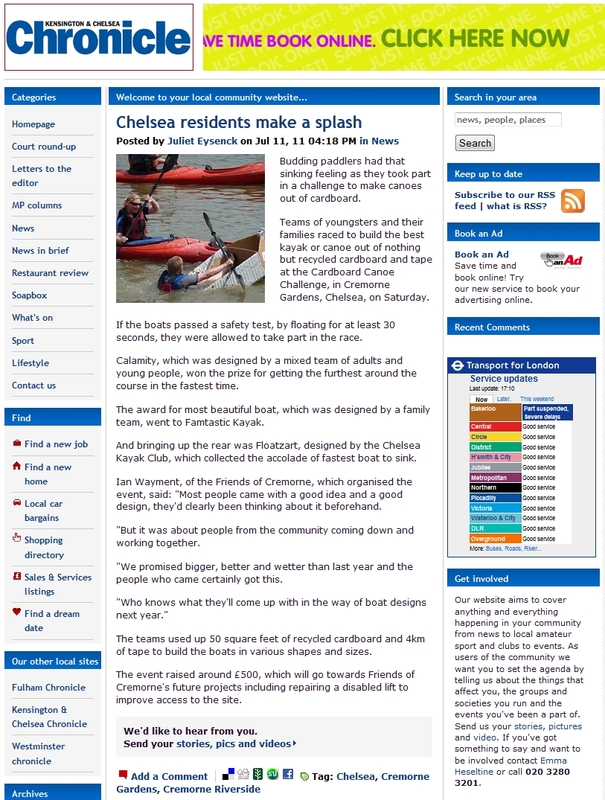 Click here for full feature. 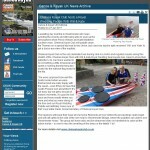 Making the news! 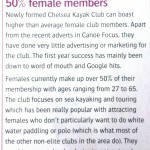 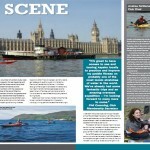 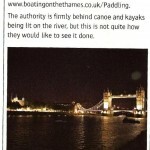 Although a few months after we started, we made it into the British Canoe Union’s flagship publication.